Lenovo on Tuesday made a splash in the mobile market with the launch of its first smartbook, a mini-laptop called Skylight that the company says combines the best features of netbooks and smartphones, albeit without telephone functions.The lightweight device weighs 1.95 pounds (0.88 kilograms) and resembles a netbook, with a 10.1-inch screen and compact keyboard. The low-cost device is designed for customers who want Internet on the go without PC functionality, said Ninis Samuel, marketing director at Lenovo. Powered by a 1GHz Qualcomm Arm-based Snapdragon processor, the device offers 10 hours of battery life and includes integrated 3G mobile broadband and Wi-Fi connectivity. Lenovo is one of the early PC makers to offer Arm-based mini-laptops, which have been called "smartbooks" by some chip makers. Smartbooks could fill a big void for consumers who need the simplicity of smartphone usage in a PC-like device, Samuel said. "To match that demand and growth, the consumers want innovative devices that can connect to the Internet and multimedia on the go," Samuel said. The device is expected to be on display at the Consumer Electronics Show, which will be held in Las Vegas from Jan. 7 to 10. (All the latest CES news and gadgets here). Skylight could emerge as an alternative in the low-cost laptop space to netbooks, which are mostly powered by Intel's Atom chips. Atom-based netbooks have a leg up because of support for both Microsoft's popular Windows operating systems and Linux. Arm-based chips do not support a full Windows OS, so smartbooks usually come with the Linux OS. 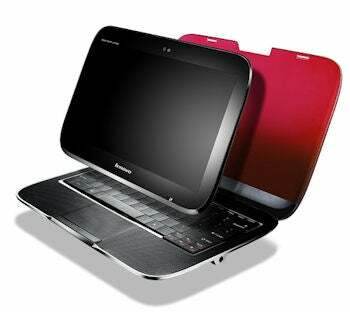 Lenovo already offers netbooks with multiple screen sizes, and on Tuesday added new models with the Windows OS. The IdeaPad S10-3 and the IdeaPad S10-3T, which includes a touchscreen, will be powered by the latest Atom processors, which should provide better battery life and performance than earlier chips. Smartbooks mainly come in devices with smaller screens, like Sharp's NetWalker PC-Z1, which has a 5-inch screen. Though many Arm-based Internet devices with PC functionality are expected to be announced this year, one major PC maker has already questioned the viability of such products. Asustek Computer CEO Jerry Shen has said he saw no "clear market" for smartbooks and that the company had no immediate plans to ship them. However, Asus, which was a pioneer of netbooks, demonstrated a mini-laptop with Qualcomm's Snapdragon platform running Google's Android open-source operating system at the Computex trade show in June. But smartbooks could offer advantages over netbooks including longer battery life and quicker startup. Arm processors usually draw less power than Atom chips, and the quick boot capabilities of Linux help provide instant access to the Web. Skylight's Linux OS includes a custom software user interface called Live Web Gadgets for users to access multiple Web applications at the same time. Users can receive notifications of new e-mail on Gmail, or write Facebook or Twitter updates in a split window interface. The smartbook will be available for US$499 in the U.S. starting in April. It will also be available at a subsidized price through AT&T with the purchase of a 3G data plan. Shortly after, it will become available in Asia and Europe, Lenovo officials said. Lenovo is launching a total of 10 PCs at CES, including the IdeaPad S10-3T netbook, which comes with 10.1-inch screen that supports multiple finger touch input. Users can place fingers on the screen to manipulate images, scroll down documents or zoom into maps. Prices for the device start at US$499. It weighs about 2.76 pounds, and runs for about four hours with a four-cell battery. 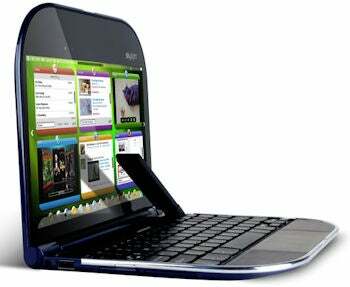 The IdeaPad S10-3 netbook, which also includes a 10.1-inch screen is priced starting at $349. The device weighs about 2.43 pounds, and runs for about 3.5 hours with a four-cell battery. 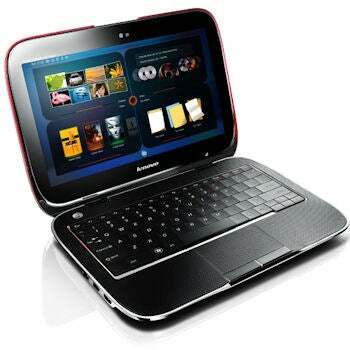 The netbooks will support up to 320GB and 2GB of memory. Meanwhile, the IdeaPad U1 is a combo multi-touch tablet/laptop that will cost around $1000 in June. When the two pieces are connected together in notebook form, the U1 runs Windows 7 using an Intel Core 2 Duo SU processor. 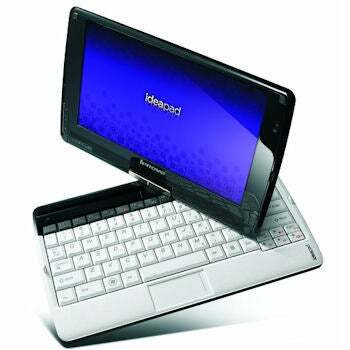 When seperated and used as a tablet, the screen is powered by a Qualcomm Snapdragon processor and a custom Linux OS.